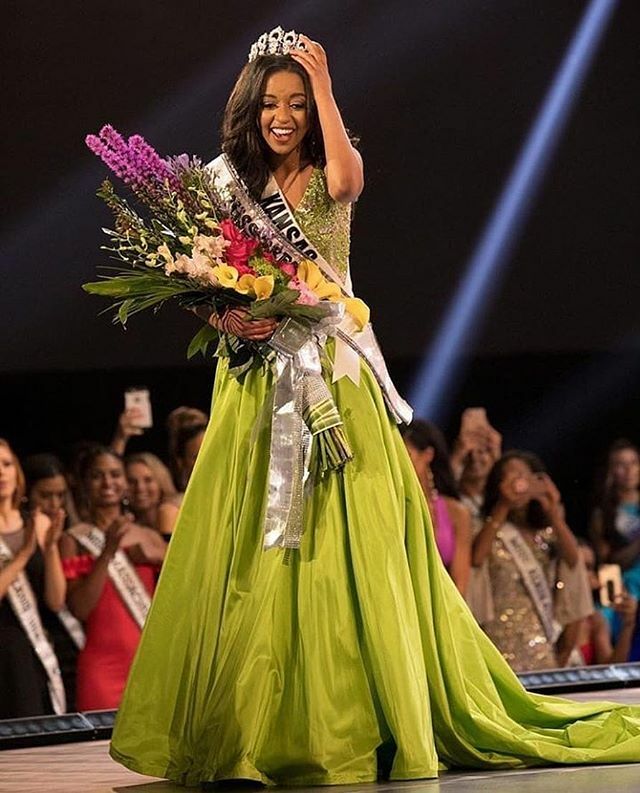 17 year old Miss Kansas, Hailey Colborn won the Miss Teen USA 2018 crown during a pageant held at the Hirsch Memorial Coliseum in Shreveport, Louisiana on May 18. Hailey from Wichita stands 5'4" tall. She was crowned by Miss Teen USA 2017, Sophia Dominguez-Heithoff of Missouri. Miss Alabama, Kennedy Cromeens was voted by her co-candidates as Miss Congeniality.